inklings: Happy Valentine's Day: New Holiday Reads! Artist Jennette Jacobson clashes with a handsome visitor at a gallery show. He claims that artwork is just “more junk to dust.” Ouch. When she finds a small metal object on the floor, she uses it later in a new collage. Her world soon crumbles with family problems and a friend’s betrayal. And wouldn’t you know that the same hunky guy claims he lost an important key the night of the show! When Steve Harmon offers to buy Jenn’s work, she refuses to sell. He’ll just trash it to free his precious key. Or is it possible that key will unlock her future happiness? Minna has a secret. Her father, ex-dragon jockey Wynn Westerfield, will forever hold a grudge against wizards. Because it was a wizard who caused his career-ending accident, Minna struggles to hide her incredible magical powers from him...and from the world. Evan Valentine has attended a prestigious magical academy on scholarship, although he's managed to conceal that fact from everyone. He's on the fast track to success with his apprenticeship to wizard Thaddeus Bartholomew, and Evan's carefully constructed life doesn't include a certain beautiful girl whose powers rival his own. Although Minna and Evan don't realize it yet, their destinies have been intertwined for years. When a threat arises, Minna and Evan must travel to another reality to retrieve a dangerous magical artifact. Can Minna and Evan learn to work together, despite their mutual mistrust? Or will their explosive romantic attraction lead to disaster? Spoiled New York rogue Royce Mc Arthur lives a charmed life. He sees no reason to settle down, until his mother issues her decree that he must grow up, find a wife and produce some grandchildren, preferably before she dies of old age. But his choices are quite limited considering the only women of his acquaintance are ones of ill repute. Meeting the beautiful Evelyn DeJarlias at a ball gives him hope he may have found the one. Her southern blue collar outspokenness and lack of refinement draws him like a moth to a flame. Unfortunately, she does not find him nearly as endearing -- consistently refusing his lavish gifts and his attentions, she poses a challenge he simply cannot ignore. When his mother and her widowed father begin to keep company together secretly, it provides the perfect excuse for him to spend time with Miss DeJarlias. But figures from Royces past threaten to destroy the blossoming love between the couple. Evelyn must decide if she is willing to trust the man or hold his past indiscretions against him. For centuries, Cupid has longed to be more than Venus’s arrow boy. When he’s sent to eliminate “Happily Ever After by Amelia”, the matchmaking business threatening Venus’s status as the goddess of love, Cupid decides to steal Amelia’s methods and make his own matches. While spying on Amelia, Cupid accidentally shoots himself with his magical arrow and falls in love with her. But bereaved Amelia doesn’t believe in the existence of Roman gods, and she’s certainly not looking for romance. She’s too busy perfecting the patented personality profile that’s made her Hollywood’s favorite matchmaker. Disguising himself as a mortal financial advisor, Cupid manages to break through Amelia’s guarded exterior. As their passion deepens so does Cupid’s guilt about deceiving Amelia. Cupid’s interference with Amelia’s life causes her business to falter, leads to a sterile spring that threatens the animal kingdom and shatters the longstanding peace between the Roman and Greek gods. With the fate of the natural and under worlds at stake, Cupid must decide whether to reveal his true identity and risk losing the chance to live happily ever after with Amelia. His best laid plans fail when a mysterious priest confronts him, sharing an ancient secret about a hidden ring with special powers. 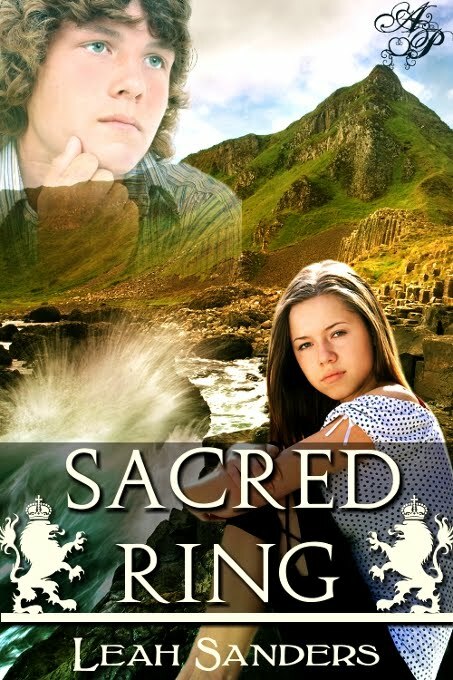 Kynan believes the answer to all his problems and the only way to fix his parents' broken marriage is to find the ring — a task he won't be able to accomplish on his own. It was easy enough to convince his friend Michael to join him, but the irritating Brianna Collins insists on tagging along. Fortunately, her knack for language and interest in history is a valuable asset in the search. Their quest leads them to the northern coast and into dangerous territory where, in spite of theirgood intentions, they may lose their own lives.